I had no issues with displaying them. You said the ebony were fine. You comlain two cherry are scratched or marked. Of course they are not perfect but you paid $400 for 5 Lsi7’s! Now you want them for $200. Nice. Filed aclaim with pp and put my account into a neg balance. The grills were ALL mint when they shipped. I think they are in great shape for their age. I never said they were mint. They are 20 yo! Condition is subjective and you asked me nothing! You used your shipping account to ship. If the grills are truly damaged file a claim for the grills. They did ship from Maine to CA! I wonder if this is the same guy that tried to pull similar BS when I sold my Krell. Where in CA is this guy? Anaheim is where he is from. The drivers and grills were mint. The cabs arent mint but I was using them. If they were like new I would have sold them on Audiogon. $400 for 5 Lsi7’s and he files a claim with PayPal. If you want the sides perfect, how hard is it to sand and finish? They are in great shape. I will gladly take them back. I will give him a full refund upon return. He wants $214 refunded and to keep them. No way. Especially after filing a claim and calling me out in such a way. FYI: I bought something from dbryant several years ago and while I can't remember what I bought, I do know that there were no issues whatsoever. I would buy from him again without thinking twice about it. I will stand by the sale. I will gladly refund him upon return. He already wants to do a chargeback. Im not perfect but generally if someone is expecting a 9-10 on the Audiogon scale, they ask questions. Im just surprised when this is a steal. The parts alone sell for more than what I received. After paypal and bubble wrap, I cleared $390. He was trying to flip the black pair before he got them. That is the issue. He sent me his own shipping labels. If any grills were damaged, he can file his own claim. Grills and drivers were perfect. When two people air their grievances publicly, comments such as Airplay's are bound to happen. That is why this should have been a private matter from the start. It didn’t add to and wasn’t necessary. Airplay actually didn’t follow through after a lengthy process. Nothing is stopping you from ceasing comment in a public thread and taking things to PM... I agree you did not start the public discourse, but that does not mean you should continue it. Nothing is stopping you from staying out of it as well. You have had plenty to offer in regards to your opinions but nothing helpful. How about this little morsel then... Did you bother to look at your buyer's post history? Based on what I see there, I wouldn't have sold him gum from the bottom of my shoe. By your actions, I think you bear some responsibility as well. Was that helpful? That is feedback that is helpful. I appreciate that. No I thought I could trust people on the site. I didn’t check. Admittedly I’m pretty ticked. I have money frozen in my PP account. I have messaged several times without response. Be sure to communicate that to Paypal. They are NOT on your side here, and will do everything to burn you, including telling your buyer they are free to keep the speakers AND have their money back as well. I've bought from Dorian before. Everything went smoothly & the gear was in better than expected shape. @jhracer3, how about posting some detailed pics? If the buyer is not happy he MUST return the speakers to dbryant, who has stated he will refund the buyer after the speakers are returned. dbryant is being the stand up person here, the buyer isn't. Nice. Already opened a paypal case and whats a refund of $214. This smells like a scam. You want 5 Lsi7 speakers for $200. Really? it is quite informative to note that the buyer has yet to comment in this thread at all since his calling out dbryant…. 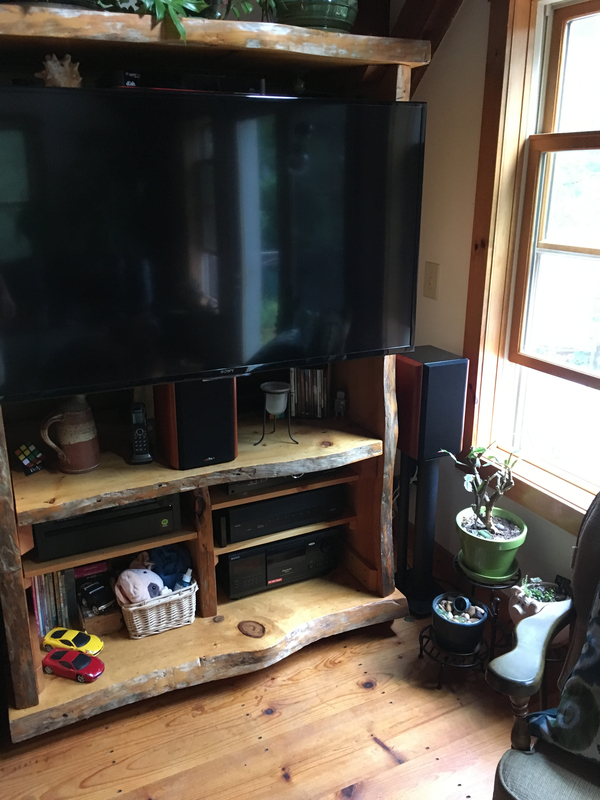 none of those pics shows the speakers in any detail. when i see "great condition" on an enthusiast forum like this, I assume the seller is being as least mildly honest in the description. a few minor scratches or bumps is one thing, and I was fully expecting that, but of the 5 speakers only 1 could charitably be described as great. the color issue on the veneer, ripped grills, significant scratches, etc., are all items that should have been mentioned alongside "great condition." failing to list those kinds of issues and then posting pics that don't show speakers from the problem sides is intentionally misleading. send a return label and I'd be happy to send them back. i'm not eating return shipping on fraudulently described speakers. blows my mind that people try to play games like this with descriptions when chargebacks are always on the table. when bad sales are ignored or quietly swept under the rug, other buys get screwed in the future. i checked his post history and didn't see any other issues so gave him the benefit of the doubt. when you sell something and misleadingly describe it, you've already acted in bad faith. given that these cost me $105 in shipping, easy solutions are already off the table. I paid $275 a pair, plus the (nearly useless) single speaker. the going rate for LSi7s in excellent condition on ebay is around $350 a pair, or $250 a pair in poor to acceptable condition. the original selling price is irrelevant. the idea that these speakers were some kind of a giveaway and thus the condition is a free-for-all is absurd. You show your true colors pal. 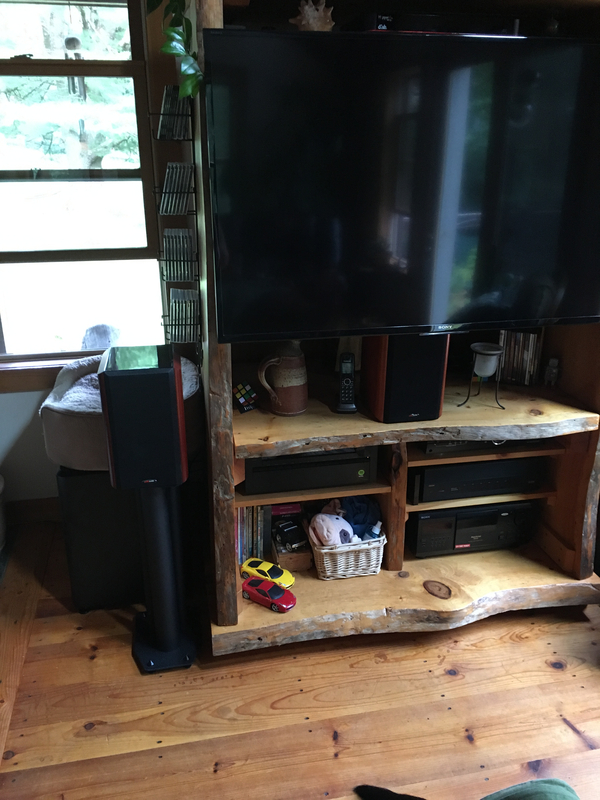 The speakers were photographed where they had been for months. Your claims are false, unreasonable, and it’s quite obvious you have had ulterior motives. You will send them back the same way you got them. The burden is on you to ship them back and then you will get a full refund. The grills are mint. You are greatly exaggerated or just delusional in your description. It’s quite apparent you have had a motive of trying to do a chargeback. Acted in bad faith? You had pictures. You had every opportunity to ask anything. You could have asked for more pictures, but you didnt. You did in your previous posts when you considered purchasing an LSiC. You asked questions then but not now? Right, then you werenot planning on trying to obtain a fraudulent chargeback. Then you were making untruthful claims and unreasonable demands. Read this: I DONT CARE if you try to defraud your CC company with a fraudulent chargeback. You arent happy? (Aside from the straight up narcissistic and paranoid affect) send the speakers back. I generate shipping through paypal. Ooopps you locked up my paypal account so you get no label. Im not LL Bean, you gotta send the merch back for a refund chief. Are you able to provide pictures with some of the described issues? I find it offensive you accuse me of trying to cheat you. Your ignorance aside, I have tons of pics and know exactly the condition they were in when shipped.